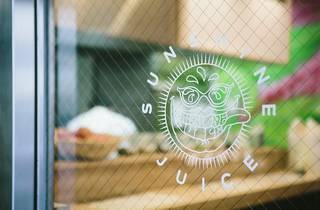 The cold-pressed juice trend found its way to Ebisu in 2014 with the opening of this perky little shop, found just a few steps from the station's east exit. As is to be expected of a specialist joint, they use mainly domestically produced fruit and veg, and avoid adding anything unnecessary to the healthy mixtures. 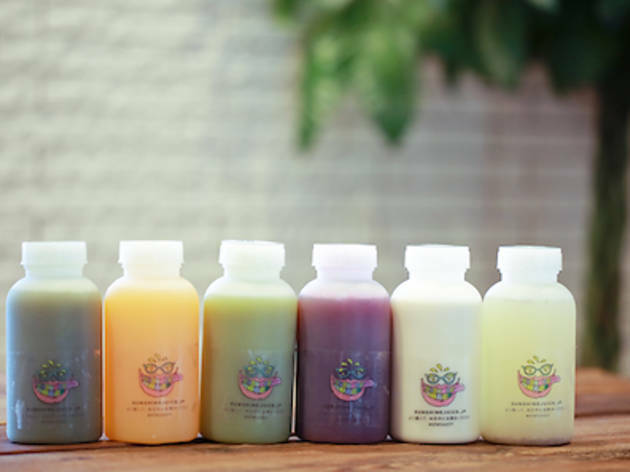 The juices are served in plastic bottles, available in 'mini' and 'regular' sizes, the latter of which (400ml) is stuffed with more than 1kg of greens. 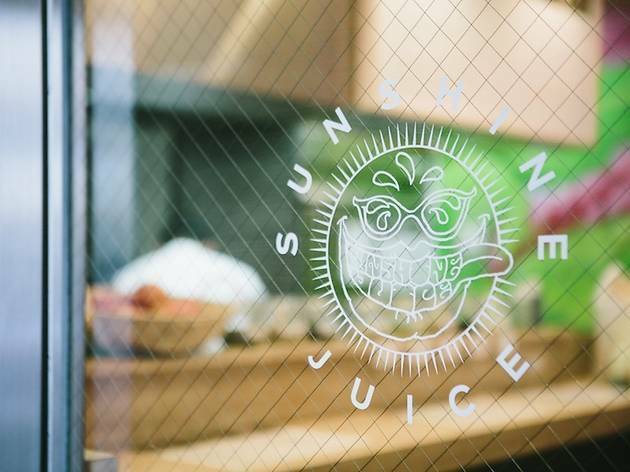 With concoctions like Gnarly Green, Spicy Sunshine and Ironman's Favorite, Sunshine successfully recreates the West Coast atmosphere of its American role models. Mini-size drinks start from ¥780, while a regular bottle will set you back at least ¥980.